Andrew Wilson has in-depth knowledge of all aspects of potential Road Traffic Act fraud, from low-velocity impacts (LVIs) and phantom passengers all the way to up to multi-accident fraud rings. There is growing pressure from the courts to ensure that defences which do not specifically plead fraud are compliant with the civil procedure rules; increasingly, applications are being made to strike out defences which ‘put the claimant to proof’. Comments from the Court of Appeal in Hussain v (1) Amin (2) Charters Insurance Ltd :  EWCA Civ 1456 have assisted claimants in this respect. Andrew is well practiced at drafting defences which robustly put the defendant’s case in these circumstances, and successfully defends these types of applications. The staged accident/stooge vehicle can be a tricky pleading, but Andrew is often successful in placing the burden back on the claimant with respect to fraud and overt negligence by the claimant driver. Andrew does not shy away from positively pleading fraud when the situation arises; close analysis of a case can often lead this way even when it had not been envisaged by those instructing. 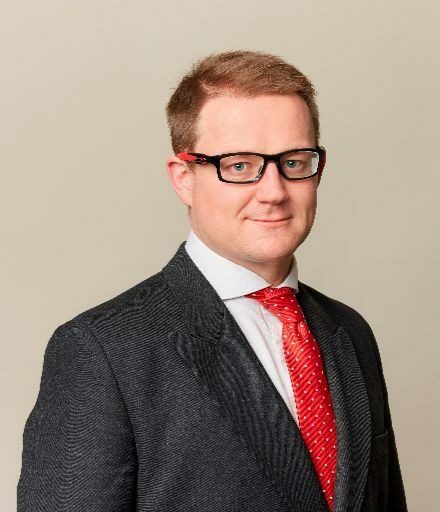 Before joining Sovereign Chambers in 2012, Andrew specialised in prosecuting financial crimes and brings that experience to bear when advising on the likelihood of success and, more importantly, when preparing for trial. Attention to detail, especially in relation to a claimant’s disclosure, and forensic preparation for cross examination often reap rewards. Andrew is a robust advocate, both in front of the tribunal (when the need arises) but also, more importantly, when dealing with dishonest claimants under cross-examination. Claimants regularly oppose the disclosure of medical notes, previous accident history and financial records; Andrew is routinely successful in obtaining all disclosure requested by defendant solicitors. The Jackson Reforms have led to a raft of satellite litigation in relation to time limits and breaches of court orders. Andrew is fully conversant with the latest relevant case law and regularly successfully argues that claims should be struck-out for a failure to comply. Conversely, on the odd occasion that it is necessary to oppose such applications, he succeeds in keeping cases on the right track. Andrew specialises in CCMCs and always gets substantial reductions from a claimant’s budget. Andrew has acted for major travel companies such as Thomsons and Thomas Cook. He regularly acts in fraudulent personal injury claims. Andrew is very experienced in all aspects of fraudulent claims from pre-issue, drafting defences to trial. Andrew deals with all personal injury claims litigated on the fast and multi-tracks, including road-traffic accidents, accidents at work dealing with the health & safety regulations, and occupiers’ liability claims. Andrew acts for both claimants and defendants. Andrew is a robust advocate who prides himself on his preparation for trial; no stone is left unturned. Andrew is available to advise both in person and on paper and has a strong paper practise settling pleadings. Andrew will always make himself available to those who instruct him on the telephone and via email. Acting for the Defendant in a claim for large loss personal injury arising out of a road traffic accident. The claim included a large Smith v Manchester claims for loss of earnings. Acting for the Defendant in a large loss claim for personal injury with a subsequent claim for loss of earnings and loss of opportunity following the claimant being unable to take up his place in the armed services. Acting for the local authority in a public liability case. The claimant alleged to have tripped on unstable stairs. The defence was one of reasonable inspection. Andrew approaches all cases in a pragmatic and objective manner. He is able to provide realistic and commercially sound advice at all stages of a case. For those cases which are not compromised, Andrew is a robust and very well prepared advocate for whom no detail is too small. He prides himself on well planned and well executed cross examinations. Andrew frequently advises insurers in relation to all aspects of their contractual and non-contractual obligations, including breaches of the contracts of insurance, avoidance of indemnity and other obligations arising out of indemnity insurance; such as those under the Road Traffic Act 1988 and Article 75 of the Memorandum of Understanding. Andrew’s focus is on breaches of commercial contracts. His keen commercial awareness, coupled with his experience in insolvency, makes him well-placed to advise and act on all aspects of potential breaches/causes of action. He provides pragmatic advice and will assist clients in pitching well-placed Part 36 offers as well as attending settlement meetings. If matters should go to trial, he is always diligently prepared and is robust and forensic in his cross-examination. Andrew is very experienced in costs case-management conferences and is available to advise his clients in relation to drafting and presentation as well as time limits for filing and service. At the CCMC itself, he is invariably successful in reducing the opposition’s budget while maintaining the totals in his own Precedent H.
Andrew is a former criminal practitioner who regularly applied for ASBO’s and ASBI’s under the old regime. Having crossed over to civil law some years ago, Andrew has the level of skills and experience to provide advice and assistance across the wide area of housing law. Andrew is available to act for local authorities and providers of social housing in relation to all aspects that may arise; whether that is civil injunctions under the Anti-social Behaviour, Crime and Policing Act 2014; demotion applications under the relevant Housing Acts; contractual disputes between landlords and tenants; as well as drafting all manner of pleadings. Andrew was recently instructed in ‘Operation Boypark’; at the time, a unique partnership between the local authority and the police to track, prosecute and exclude gangs of youths dealing drugs and engaging in other anti social behaviour. Andrew Wilson accepts instructions in cases arising out of serious or fatal injuries in the workplace. He is able to provide advice at an early stage and deal with all areas of court proceedings thereafter. Andrew routinely acts for insurance companies in personal injury and HSE prosecutions and is well placed to advise defendant companies and insurers at the first sign of HSE involvement or civil claims. Andrew also regularly attends coroner’s inquests. Andrew is available to act in other regulatory cases, with special interests in Health and Safety and Environmental / Waste Management prosecutions an area in which Andrew is assisted by his Bsc (Hons) in Geo-chemistry. Representing a European company with a U.K turnover of £129m (and so outside of the top bracket of the sentencing guidelines). A guilty plea was entered to an offence contrary to section 33 Health and Safety at Work Act 1974 act by breaching its duties under s 3(1) of the Act. The starting point for sentence for a company with a turnover of £50m was £300,000 with a range of £130,000- £750,000. The potential fine was therefore in excess of £750,000. Andrew advised at an early stage in terms of the relevant evidence to put before the court, including the extent of financial disclosure and the specific risk assessments and training given to employees across the country. Following a guilty plea and mitigation, the Defendant was fined just £100,000. Representing a company that provided air conditioning services to supermarkets and department stores with a turnover of £6m. The Defendant pleaded guilty to one offence contrary s33(1)(c) of the Health and Safety at Work etc Act 1974 by breaching its duties under s 3(1) of the Act. The sentencing range was £25,000- £230,000. Mr Wilson drafted the basis of plea and, following mitigation, the Defendant was fined £20,000. Andrew represented the Second, Third and Fourth Defendant who were prosecuted as a result of a crushing injury that occurred at Armley Prison, Leeds. The complainant was run over by machinery driven by a third party contractor. Both the machinery and the contractor were under the control of the Second Defendant company and the Fourth Defendant as an employee of the company. The Defendant company pleaded guilty to offence contrary to s33(1) of the Health and Safety at Work etc Act 1974 by breaching its duties under s 3(1) of the Act. The charge against the company director was discontinued. The Fourth Defendant pleaded guilty to tampering with the evidence post accident and therefore obstructing the investigation. The HSE suggested that the relevant fine bracket for the company was £30,000- £110,000. Andrew drafted the Basis of Plea and successfully argued that the culpability was less than the HSE submitted. Following mitigation, the company was fined £600. The Fourth Defendant was fined £100 for evidence tampering. Andrew represented the family of the deceased who died having been admitted to hospital for severe alcoholism. The deceased was subject to a hospital restriction order at the time of his death. Inquest Touching the Death of IH (ongoing). Andrew is representing the family of an 18 month old boy who was in remission from Leukaemia following a bone marrow transplant. He subsequently died of a heart attack, whilst in hospital, for reasons which have yet to be established. Lorna Howlett (1) Justin Howlett (2) v Penelope Davies (1) Ageas Insurance Ltd (2)  EWCA Civ 1696. On 30th October 2017, the Court of Appeal finally settled whether fundamental dishonesty needs to pleaded before a Defendant can rely on CPR 44.16(1) to set aside QUOCS. Andrew Wilson, of the Leeds based Park Square Barristers Civil Fraud Team, discusses the issues that will arise with the coming into force this week of the Deregulation Act 2015, particularly with reference to the indemnity liabilities of insurers faced with non-payments of premiums. Credit hire rates. Are they basically the same? A recent decision from the Court of Appeal has caused a sea-change in the way courts will assess basic hire rates when considering recoverable damages under a credit-hire agreement. From now on, BHRs can be calculated with reference to the lowest reasonable rate charged by a local main hire company.